Halfmoon Biosciences - Website of halfmoonbiosciences! Support our seabird research project by purchasing this fantastic t-shirt photographed and designed by Chris Surman and printed in Australia. 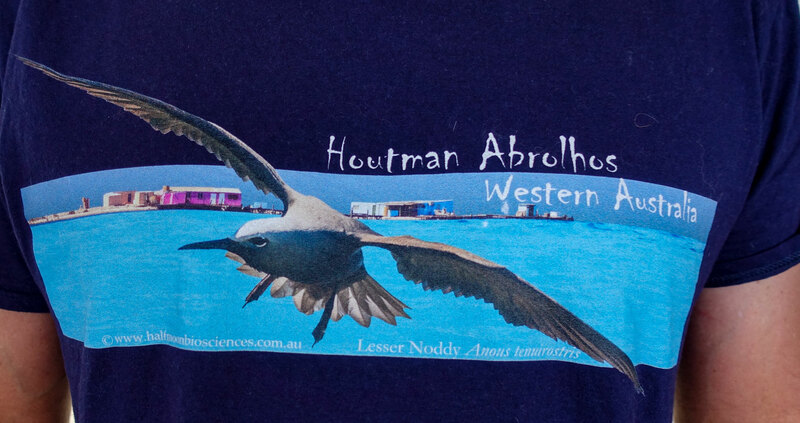 The Lesser Noddy nests only at the Houtman Abrolhos, and proceeds from our t shirt sales go towards continuing our research. 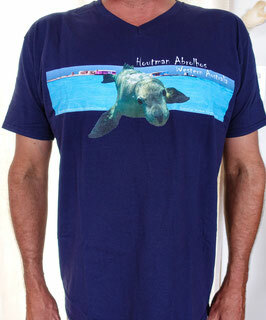 The Gildan missy is a semi-fitted tee. Lightweight 180gsm 100% cotton preshrunk jersey knit. Deluxe 30’s soft style yarns. Taped neck and shoulder, Semi-fitted contoured silhouette with side seem. Double needle sleeve and bottom hems. 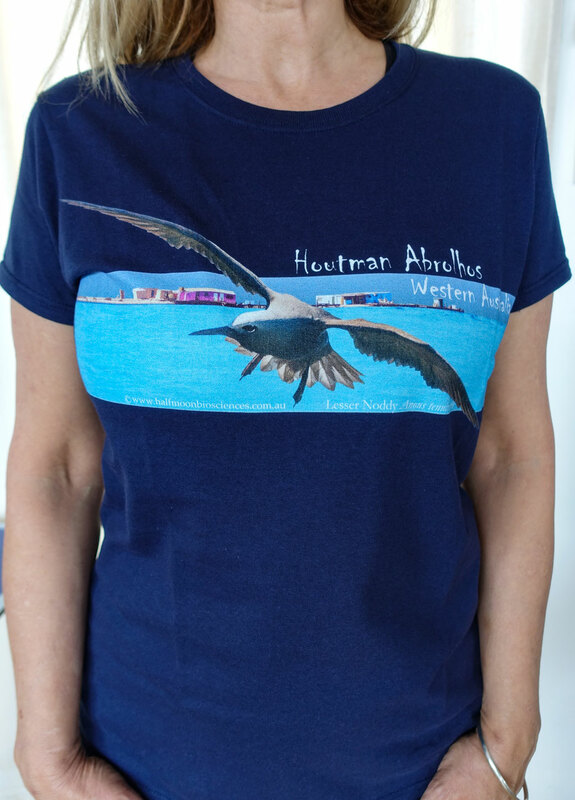 Support our seabird research project by purchasing this fantastic t-shirt photographed and designed by Chris Surman and printed in Australia. 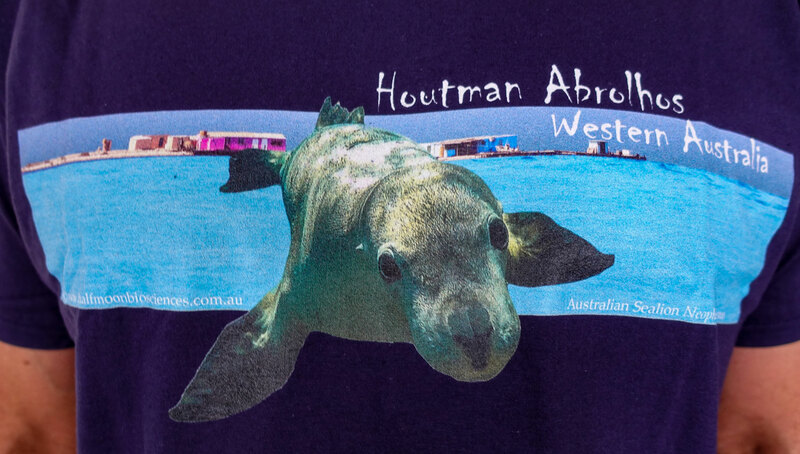 "Manny" is a local juvenile male sealion who regularly sleeps on our camps doorstep. 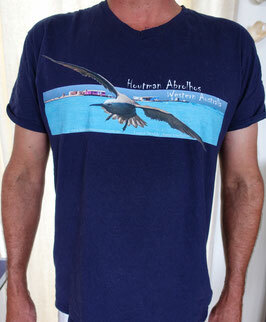 The Gildan V-neck is a semi-fitted lightweight tee. Lightweight 150gsm 100% cotton preshrunk jersey knit Deluxe 30’s soft style yarns. 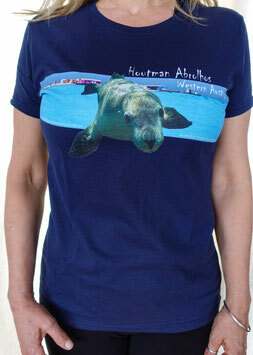 Taped neck and shoulder, mitred v-neck pattern. Euro style fit. Double needle sleeve and bottom hems. Halfmoon Biosciences is an environmental consultancy specialising in seabird ecology, scientific research, designing field monitoring programs, environmental planning and mitigation, offshore environmental project supervision (audits and compliance) and Marine Mammal Observations for the Offshore Oil and Gas, Fishing and Tourism Industries.